YES! 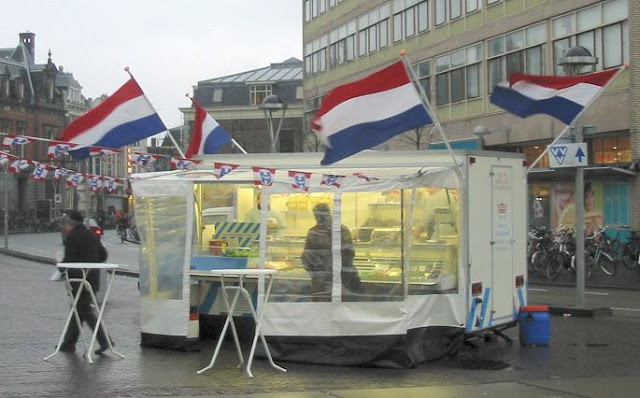 Today in Holland we celebrate "Vlaggetjesdag" (day of the flags?). It is traditionally the day the first salted herrings of the new season are sold. Most Dutch eat the Herring with raw onions, these onions were originally added to camouflage the smell of rotting fish. These days they are not really needed anymore, and Holland is divided in 2 camps about adding onions (I like my herring with onions, thank you). The herring is sold as "Hollandse Nieuwe" (Dutch New) when it is at least 16% fat (yummie!) and prepared in the traditional way (salted and "gekaakt"). The first barrel with herring is always sold at ridiculous prices (€66,000 this year), the money goes to charity. I lived in Denmark for a year and sadly enough, they don't sell Herring prepared the "Dutch way". 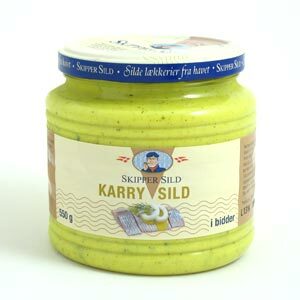 Luckily, their "Sild i Karry" (Herring with a lot of herbs and Curry sauce) was super as well - actually, besides Carlsberg Porter, it is one of the main reasons for my frequent visits to Denmark.